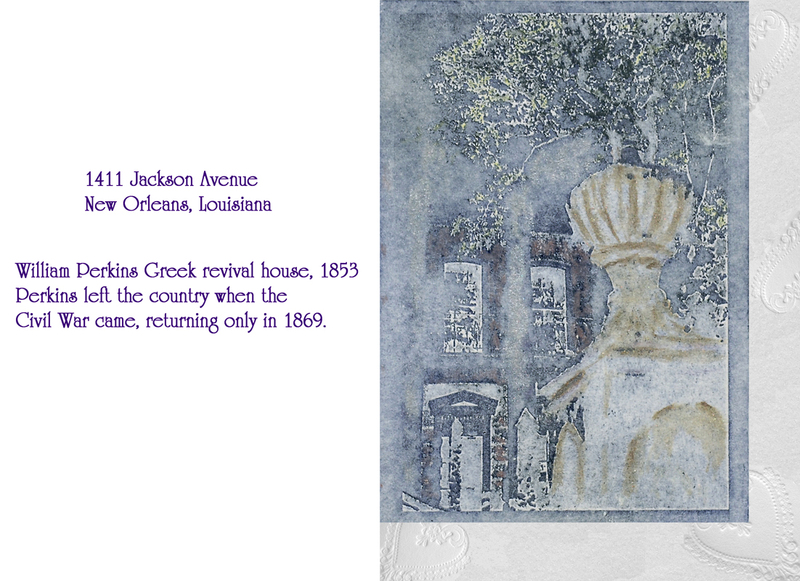 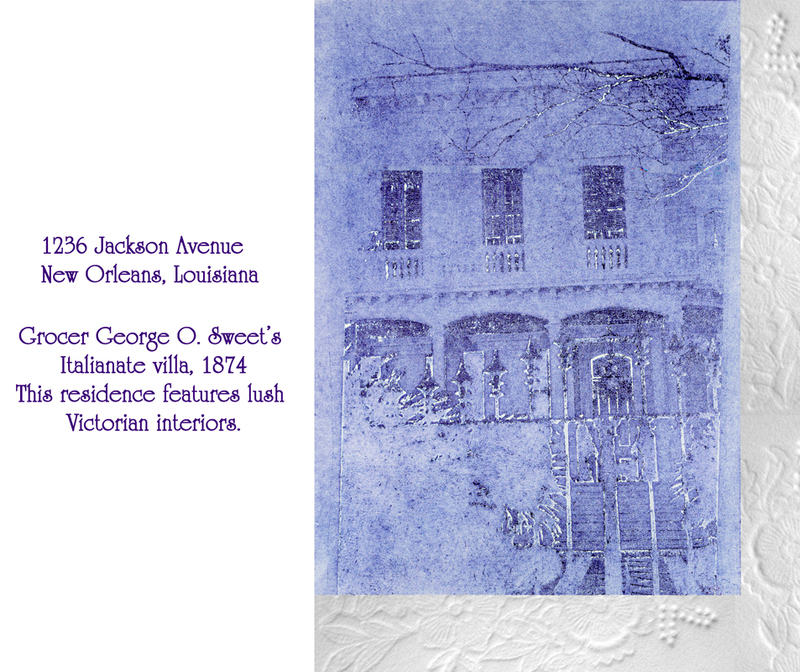 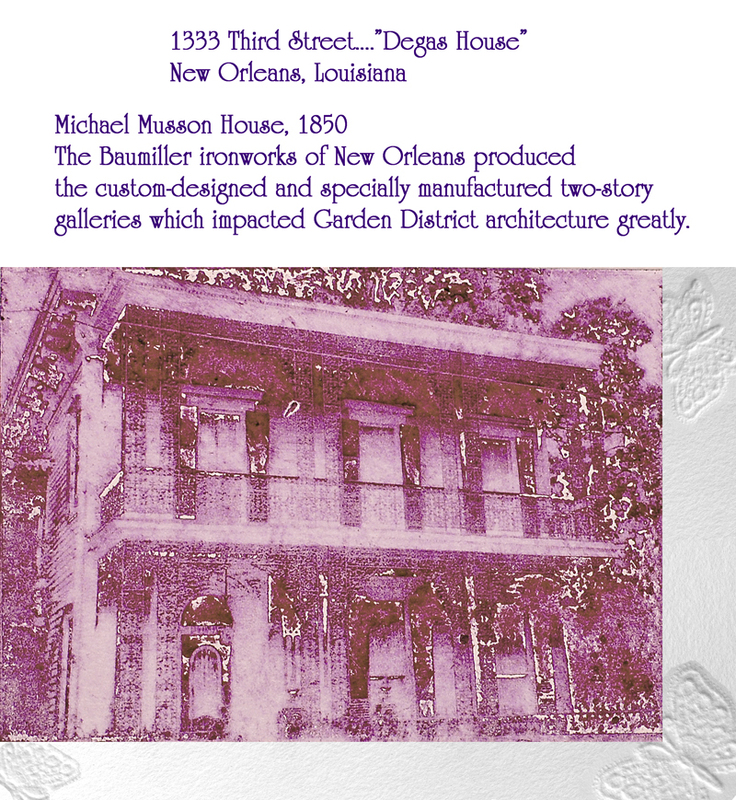 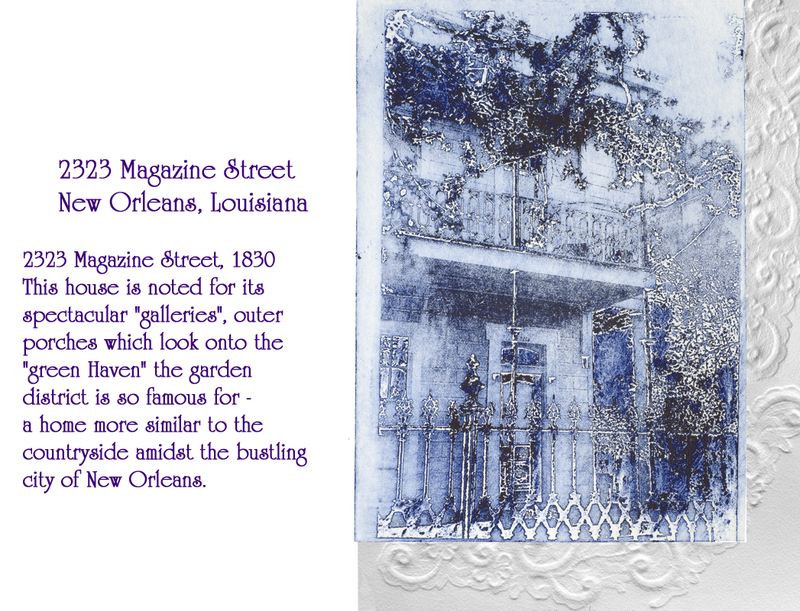 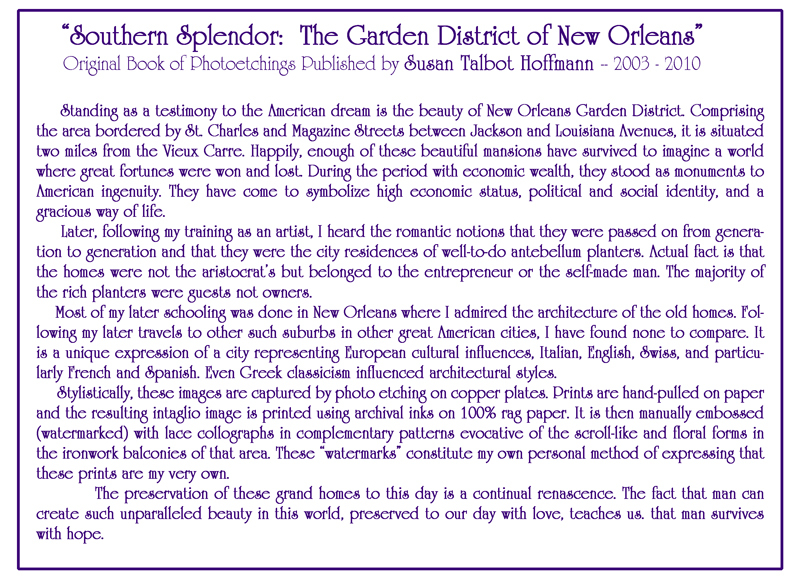 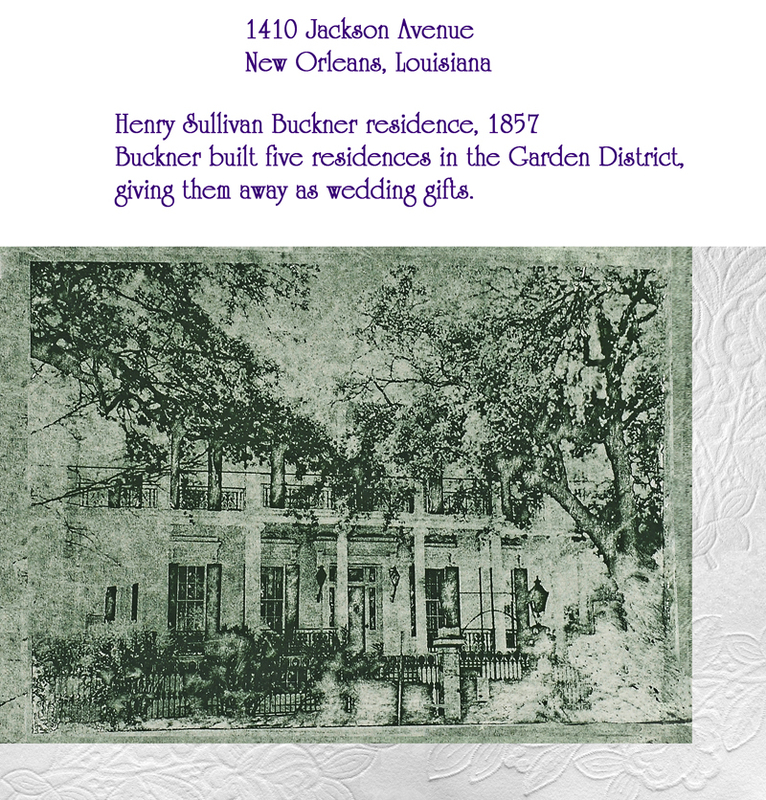 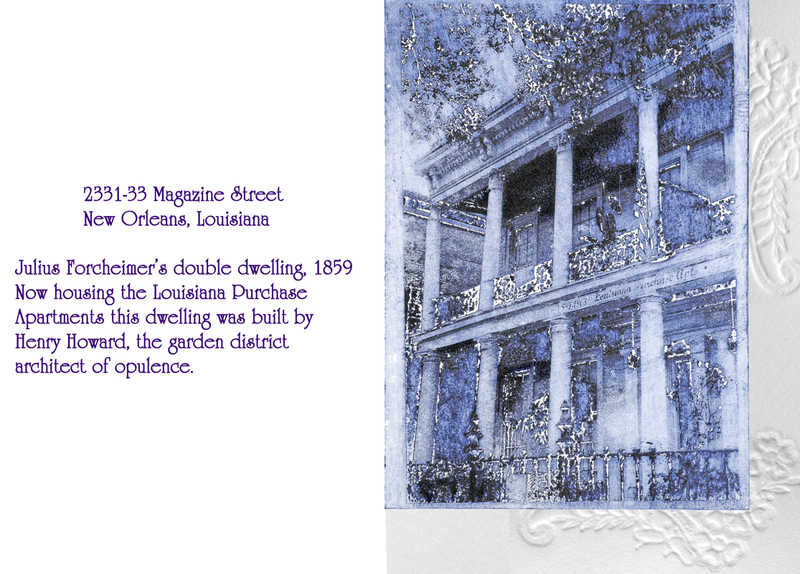 -- "Southern Splendor: The Garden District of New Orleans" featured artist, A Work of Art Gallery, New Orleans, Louisiana, December 2008 - December 2009. 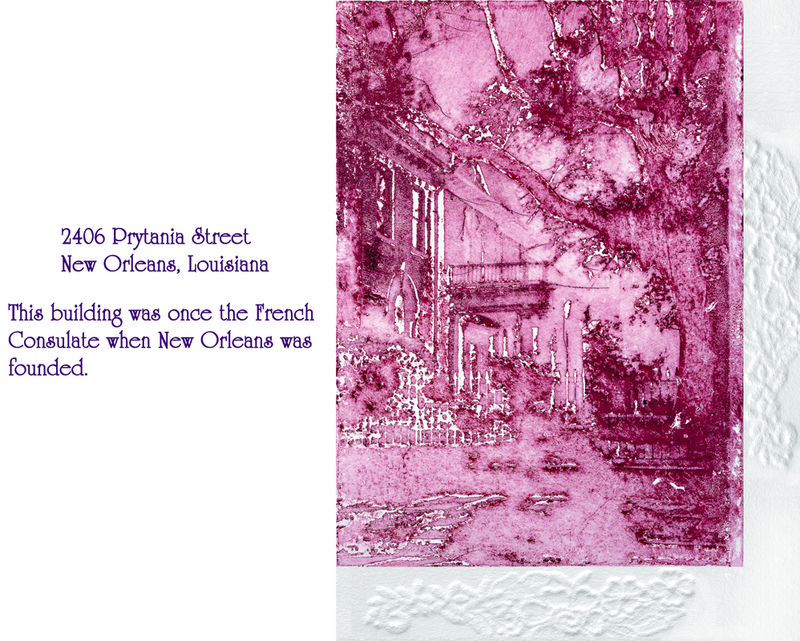 -- Accepted for inclusion into * the 74th Annual Fall Exhibition American Color Print Society, The Plastic Club, Philadelphia , Pennsylvania, October 7 - 25, 2012. 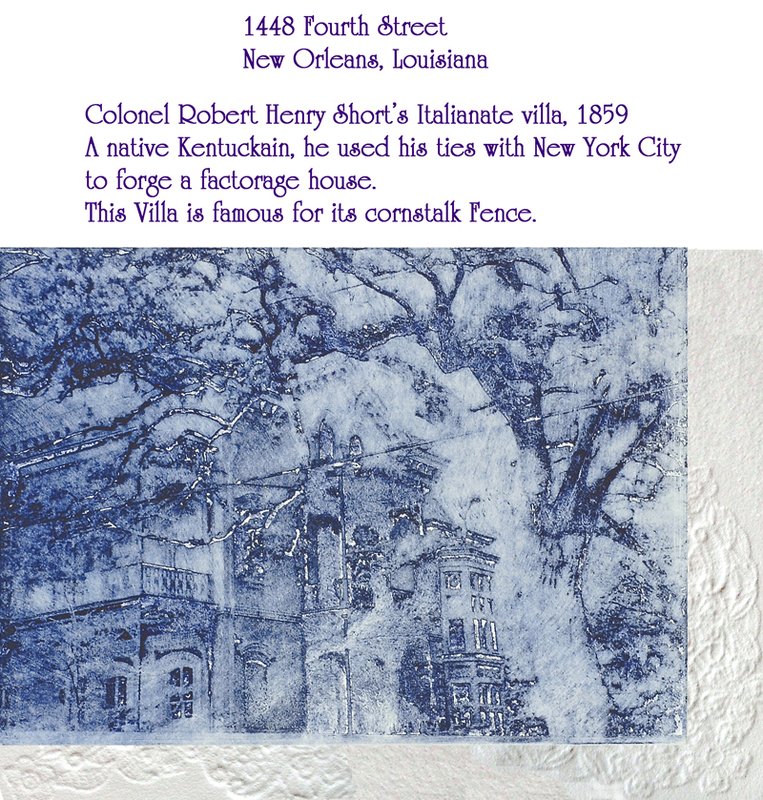 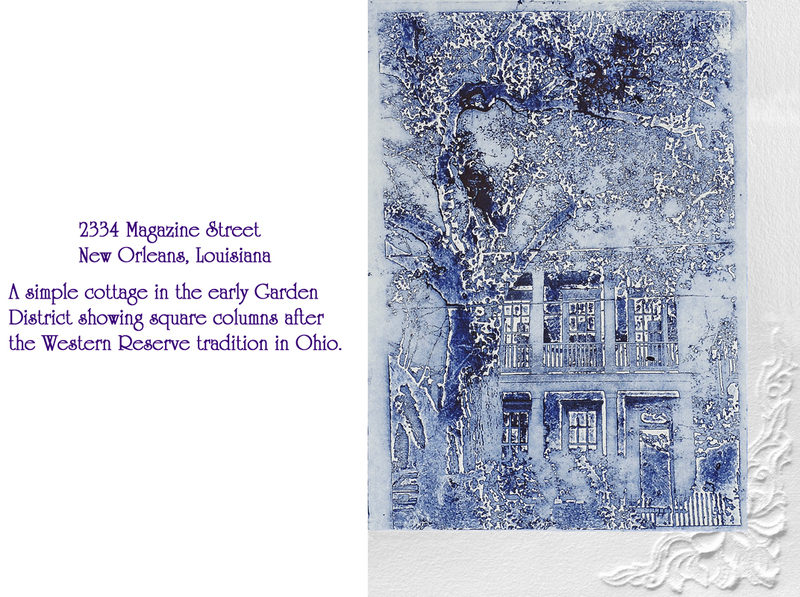 *The Catharine Lorillard Wolfe Art Club !116th Annual Open Juried Exhibition, the National Arts Club, New York, New York October 2-26, 2012. 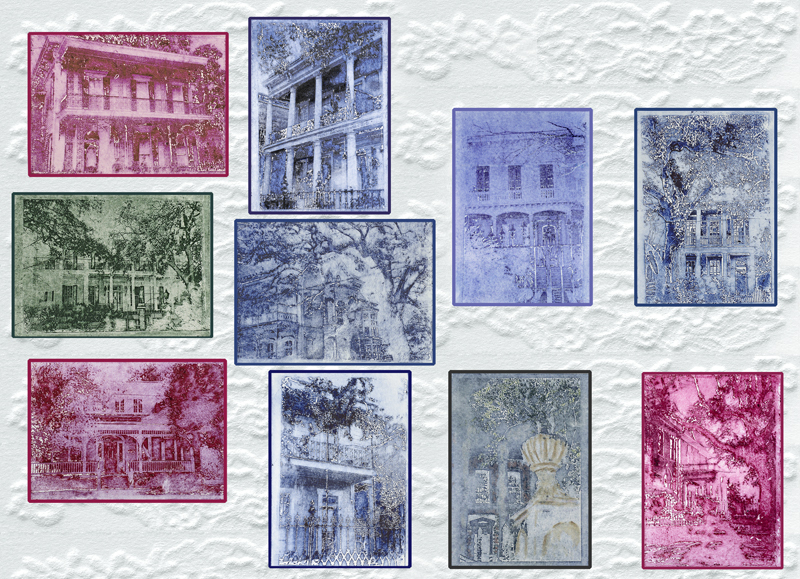 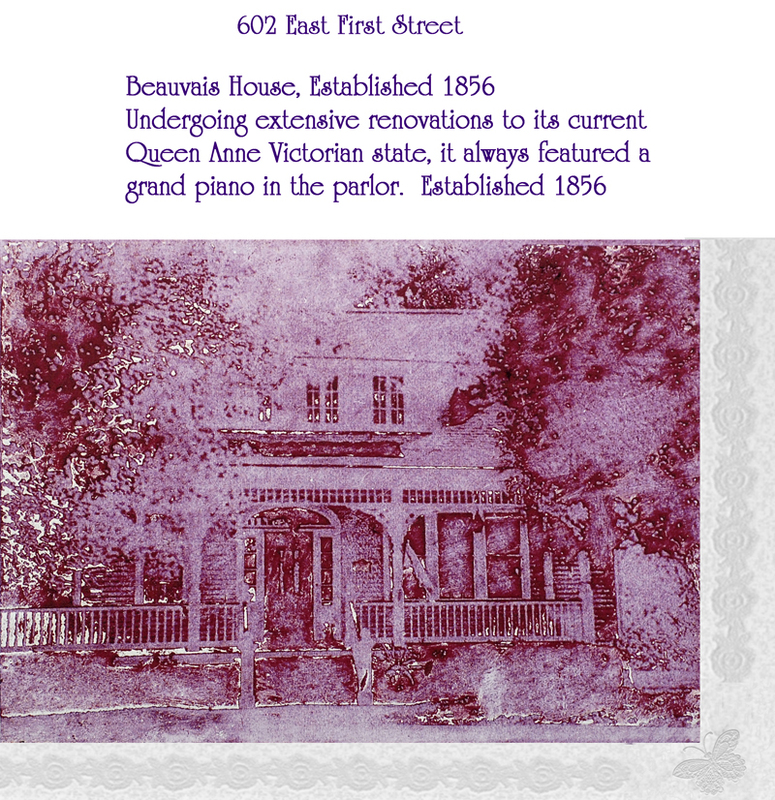 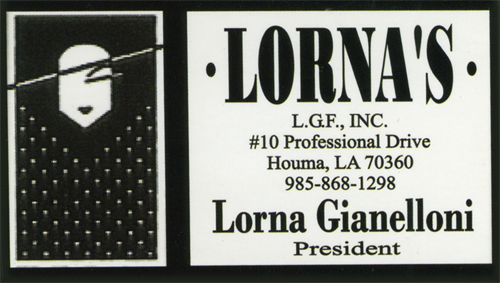 To see the 2nd set of 10 Garden District homes, click on the "Etchings" link below.